The photos that are captured using Trusty Camera are marked with the date and time representing the moment when they were captured and then secured in a way that any subsequent editing will be detected. Test photos using the app to see that they were truly captured using Trusty Camera and not edited afterwards. If you want to demonstrate that some events happened at a certain date and time and want a solid argument that the captured events are real and not obtained using photo editing, use Trusty Camera to take your photos. 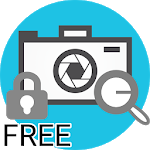 All the photos captured using the app are saved in a folder called SecuredImages in your phone. All the processing is done offline, we don't hold any of your photos. Internet connection is required only to get the current date and time for marking the photos.